By MadJik, March 10, 2018 in Plugins - Publishing ONLY! When you have selected an area with the ellipse tool, have you ever needed to find the center? So, you need this effect. Draw a dot or a + at the center. 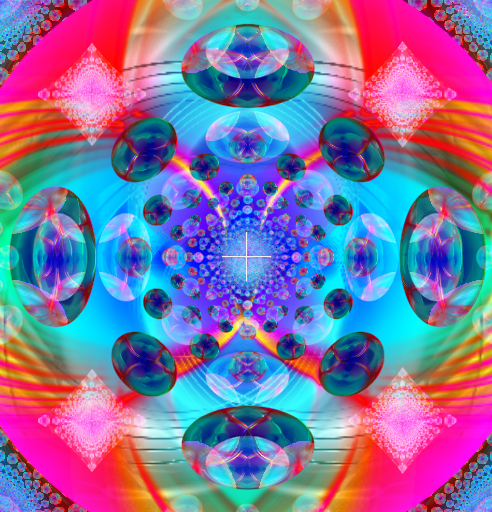 -center of the weighted selection (not dimension but number of pixels). This plugin is added to the menu Effects, submenu Selection. Choose 0 for a single dot. Default is 1 for a small cross. More than one to draw lines passing through the center. When checked you could use one slider to define the both horizontal-vertical. Instead of a line, increase the steps to have multiple spots from the center. 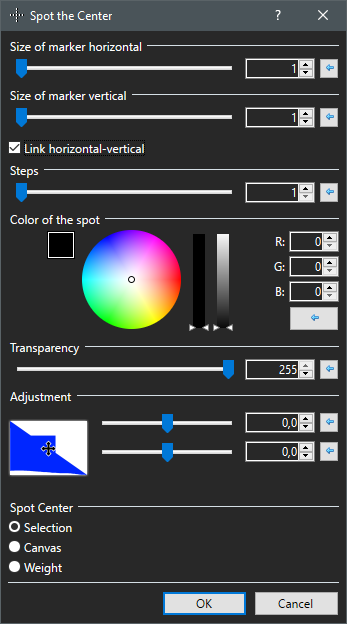 Default is the primary color, but you could change it on the fly. Value 255 means opaque (no transparency). 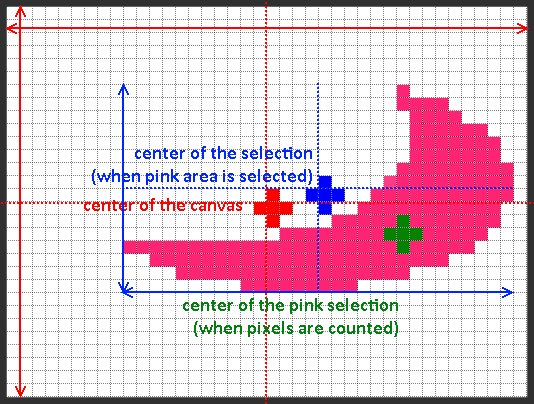 Once the center is known then you could adjust it +/- some pixels. The middle of 5 pixels is the third. -Weight: each pixel of the selection is 1 unit of weight. The center is estimated with the average weight per line and per raw. Thanks MadJik. This is handy. I rotated manually the lines. Thank you @MadJik! As @Eli stated above, this will eliminate the guesswork. And the 'spot' can go on its own layer, so you can delete it after you're done. I was not sure where to place the center. Ok not hard just few lines with the standard codelab Template. Hey, I could publish this as a new plugin. No, it too "basic" and "simple". Ok what could I bring to this to make it a bit more interesting ? = the center isn't always in the middle! Wow, this effect proposes now three centers!